We are excited to partner with Stingray Lounge and the Social & Networking Committee from the Hudson Tea Condo Association to bring you a Mixology Class. Impress your friends after mixologist Billy teaches you how to make five classic cocktails with a modern flair. Join us at Cork as we sample wines for Passover! We are excited to have Marta joining us at Cork. We will be sampling a few of her great wines and hope you will join us! From grapes harvested at their perfect degree of ripeness, hand picked, in boxes of 25 kilos. From the vineyards in the Salnés Valley. Stemmed grape soft pressed and, following a light debourbage, the must ferments spontaneously in stainless steel tanks where they subsequently rest and stabilize until bottled. Very elegant on the mouth and well-structured, reminiscent of fresh fruit ... with a long, marked finish. Tasting: Ruby red, well-covered, with a young, bright appearance. Clean on the nose, with no faults, fruity aromas particular to the variety, and reminiscences of minerals. Good finish in the mouth, silky, unctuous, with a solid structure (despite being a young wine), a very well-balanced acidity and good aftertaste. CASA's 12th Annual Wine Tasting and Hudson County's largest wine tasting event returns this year on Friday, March 23rd at Maritime Parc in Jersey City. This exciting new location offers a beautiful view as guests can enjoy wine samples selected by Cork Wine & Spirits. All proceeds will directly benefit the foster children of Hudson County. The night will include food and wine samples as well as a silent auction, ring toss, and introduction of this year's CASA honorees, Noreen McTamney and Diane Rosenshein. Tickets are on sale now at the link below! Join us Friday and Saturday afternoons for our Riesling Tasting. We will be sampling wines from Germany, France, and Oregon. Riesling is a white grape varietal indigenous to the Rhine region of Germany. It is a light skinned and aromatic grape and is commonly thought to be one of the world’s finest white grape varietals along with Chardonnay and Sauvignon Blanc. The variety is widely planted in Germany, but is also grown in California, Oregon and Washington State, the Alsace region of France, Austria, Australia, New Zealand, and Canada. And New York's Finger Lakes. Riesling is known for it’s expressive and alluring bouquet, which suggests flowers, green apples, grapefruit, peach, and honeysuckle blossoms. While many associate Riesling with sweet wine, it actually produces a wide array of wines ranging from dry and complex to very sweet. Its naturally high acidity gives it a fresh, crisp taste, and even the sweeter styles are not too thick or syrupy. Riesling is affected by the climate and soil, or the terroir, of the region in which it is grown. For example Californian Rieslings tend to be drier and softer and may have a melon-like taste, while German Rieslings are generally sweeter, more tart, with a peach, apricot, or grapefruit flavor. Because of its balance of acidity and sugar, Riesling is considered a versatile and food friendly wine. Dry Riesling is an ideal wine for pairing with seafood like lobster, oysters, or battered fish. It also complements chicken, pork, and light pastas, as well as vegetarian dishes. Sweeter and off-dry varieties go well with slightly sweeter food such as sweet barbeque sauces and fruit chutneys, and vegetables like corn, yams, turnips, and parsnips. The sweeter Rieslings make an excellent match for many Indian and Chinese dishes as well. Both varieties of Riesling are great with duck, goose, turkey, game birds, ham, sausage, and cold cuts, as well as spices like cinnamon, clove, ginger, cumin, and curry. In the North, the focus is on red wines, with the best vineyards found at higher elevations (over 250 m / 1,000 ft). For example, on the slopes of Mount Olympus, the region Rapsani is where you’ll find bush vines of Xinomavro, Krasato, and Stavroto growing on schist soils. Wines from here are usually blends, with a dominance of Xinomavro and spicy flavors of raspberry, anise, fennel, cherry, and occasionally olive or tomato with tannins that build slowly (but surely!) on the palate. This area is kind of like the mountainous Rhône of Greece, which means the wines from here are ideal for Rhône blend lovers. We will once again have flowers from "Cut 1" and other fun Mother's Day gifts this weekend at Cork. Stop by and pick up a few last minute items. Hudson County CASA's 10th Annual Wine Tasting is approaching! at the Newport Waterfront, Jersey City. Enjoy sampling more than 90 wines selected by Cork accompanied by delicious food and desserts. The night will also include a VIP tasting of premium wines and spirits, an exciting silent auction, a cork pull, free valet parking, music by DJ RAJ, and much more! We look forward to seeing you! If you have any questions about the event, feel free to click here or contact the CASA office at (201) 795-9855. 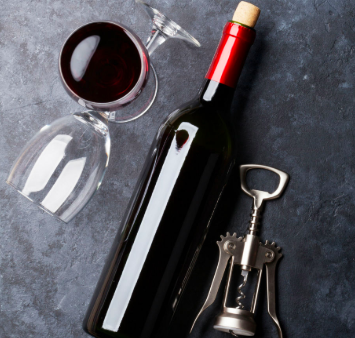 We are excited to partner with Katherine Cano, PT DPT at the Hoboken Business Center 50 Harrison Street Suite 316 to get together and sample wines. In addition, Katherine will be in our store the weekend of March 26 & 27th. We hope you will join us at one or both events. Dr. Katherine Cano is a highly motivated and dynamic Doctor of Physical Therapy with a wealth of experience in orthopedic physical therapy. Dr. Cano's unique approach to patient care includes combining skilled manual care with alternative therapies inspired by myofascial release techniques tailored to fit each patient’s needs; techniques such as cupping, dry needling, gua-sha and yoga. Patient education is very important to Dr. Cano, and she works one-on-one to help patients understand their condition and feel empowered throughout their recovery. Dr. Cano has a special interest in Sports Rehabilitation. To add to her multifaceted variety of expertise and experience, Dr. Cano plans to pursue Board Certification as an Orthopedic Clinical Specialist (OCS) and Certified Strength and Conditioning Specialist (CSCS), along with furthering her studies in the Sports and Women’s Health field. Dr. Cano graduated from William Paterson University with a degree in Biology, and then earned her Doctorate in Physical Therapy from Seton Hall University. Dr. Cano was a co-researcher on an important project involving extensive research in the areas of spinal cord injury and bone mineral density. Sports, travel and food are Dr. Cano's favorite hobbies! An athlete at heart, she grew up pursuing basketball, softball, and competitive cheerleading. Constantly active, Dr. Cano loves all fitness activities, especially CrossFit and aerial yoga. Her passion for food means you’ll often find her exploring new restaurants near and far. Dr. Cano can talk to you all day about traveling, food and her Pitbull rescue named Mason. We are excited to have Clemence Fabre owner and winemaker of Chateau de Luc with us on the afternoon of Saturday, March 26th. Come learn more about this amazing French Wine. We are pleased to host Joe Epstein at Cork next weekend. We will be tasting French Wine and Joe will have on display several of his works of art. JOE EPSTEIN IS A PROFESSIONAL PHOTOGRAPHER BASED OUT OF HOBOKEN, NJ. JOE’S EXPERTISE INCLUDES COMMERCIAL, PORTRAITURE AND FINE ART PHOTOGRAPHY. FOCUSING FIRST IN THE FIELD OF PHOTOJOURNALISM, JOE HAS BEEN WORKING AS A PROFESSIONAL PHOTOGRAPHER SINCE 1985. AT THE STAR LEDGER THE LARGEST DAILY NEWSPAPER IN NEW JERSEY, JOE WON SEVERAL INDUSTRY AWARDS AND IN 2005, WAS A MEMBER OF THE STAFF THAT WAS AWARDED THE PULITZER PRIZE FOR BREAKING NEWS. JOE’S WORK HAS BEEN PUBLISHED IN NEWSPAPERS, MAGAZINES, AND WEBSITES AROUND THE WORLD, APPEARING IN SUCH PUBLICATIONS AS: THE ASSOCIATED PRESS, NEWSDAY, THE INQUIRER, SPORTS ILLUSTRATED, OT WEEK, WEBSITES OF: USA TODAY, MSNBC, THE WALL STREET JOURNAL, THE NEW YORK TIMES, AND ON THE COVER OF EXCEPTIONAL PARENT. THROUGH JOE’S VOLUNTEER BOTH AS A COACH AND A PHOTOGRAPHER WITH THE SPECIAL OLYMPICS OF NEW JERSEY, JOE’S PHOTOGRAPHS APPEARED ON THE COVERS OF SEVERAL LIMITED EDITION BOXES OF GENERAL MILLS’ CEREALS; TEAM CHEERIOS, GOLDEN GRAHAMS AND WHEATIES. IN 2009, JOE BROADENED HIS CONCENTRATION TO INCLUDE FINE ART PHOTOGRAPHY ALONG WITH PORTRAITURE AND COMMERCIAL WORK. JOE’S WORK HAS BEEN DISPLAYED IN LOCAL HOBOKEN GALLERIES AND FINE ART SHOWS THROUGHOUT NEW YORK AND NEW JERSEY. JOE HAS TRAVELLED GLOBALLY INCLUDING RURAL VILLAGES OF GHANA, GAME PRESERVES OF KENYA, REMOTE REGIONS OF THE AMAZON RAINFOREST IN BRAZIL, AS WELL AS THE OUTBACK AND GREAT BARRIER REEF IN AUSTRALIA FROM THE PRISTINE BEACHES OF TURKS AND CAICOS AND BALI, TO ALASKA AND FLORIDA AND MANY, MANY PLACES IN BETWEEN. Cork Wines, Flowers & Chocolates: Be Prepared for Valentines Day! We have partnered with a couple of our favorite local businesses to bring you Flowers, Chocolates, and more. Stop in Saturday and Sunday to pick up a few treats for your favorite "Valentine".